How and why did you first get started in pencil lead sculptures? Six months ago, I began to carve pencils after I was inspired by the work of Dalton Ghetti from the States. I had no experience before early 2015. 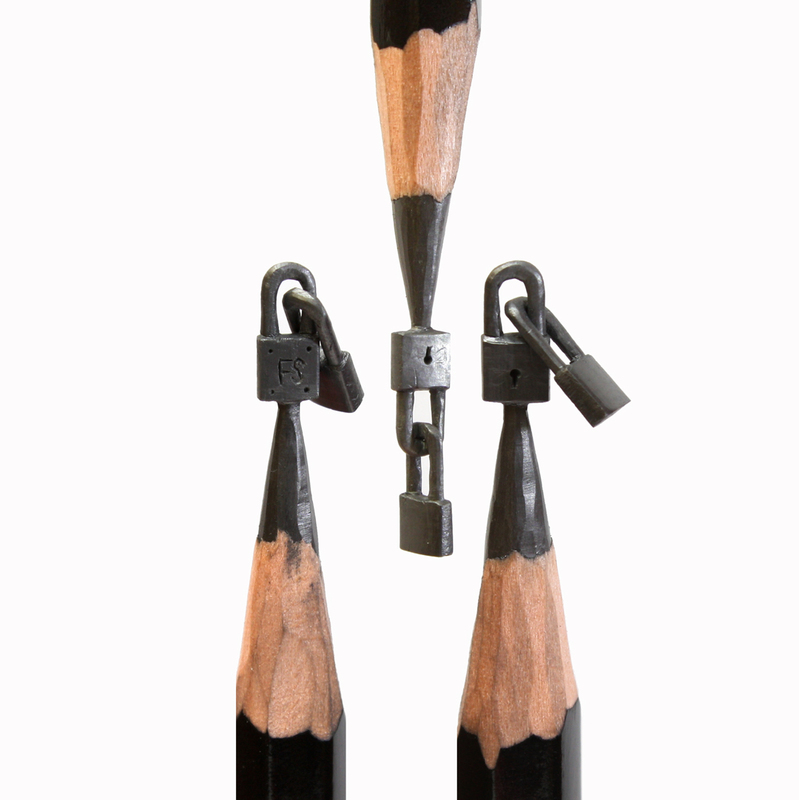 Now, I really enjoy creating tiny sculptures on pencils. Mostly I’ve been sculpting heroes and cartoon characters. Describe your process and inspiration. Least understood by the masses is my preoccupation with all things miniature. Have a little look around to see the big picture. In hopes of spreading the good word about a great mini, I launched @dailymini on Instagram in the winter of 2012. The brand has since been met with great enthusiasm and delight by fellow miniacs. I’m fortunate enough to feature a new miniature each day and am thrilled to share my beloved minis with an international audience. I’m most of all humbled by the community’s response and the amazing range of mini submissions received on a daily basis.